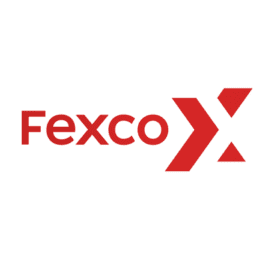 Fexco Payments & FX are currently recruiting for a Terminal Support Engineer to join their team on a 12 month fixed term contract, based in Killorglin, Co.Kerry. As a key part of the Service Operations team, the Terminal Support Engineers ensure provision of world-class support services to our merchant base, PSPs, acquirers and colleagues by managing support tickets efficiently and keeping the customer updated throughout the process. This role will also involve a degree of terminal estate management, ensuring that software releases and config changes are efficiently rolled out to the estate and that the estate maintains stability. Process 2nd line terminal Support tickets ensuring clear, concise & full solutions are provided on each ticket and service restored within the agreed SLA’s. Process query tickets escalated from Relationship Managers and Merchant Helpdesk to help restore a working solution to merchants by efficient diagnostics of the problem & working through the resolution with the customer over the telephone. Ensure customers are provided with frequent & informative updates on the progress of their tickets, especially where the resolution takes longer than originally anticipated. Work on own initiative ensuring tickets are prioritised accordingly to reflect the severity of the incident and are responded to accordingly. Liaise with QA and Development re analysis, cause and resolution of problem tickets. Nurture and maintain relationships with key people within our client and partner organisations. Help manage out work of a repetitive nature by either escalation to the appropriate business owner, software developments or training to tackle the root cause. Proactively populate knowledge database, compiling & updating support related procedures & documents where necessary. Maintain stable transition and reliable operations from one software version to the next. Deadline driven individual with ability to be flexible & accommodating to meet business critical requirements. Have the ability to meet deadlines & adapt to a changing environment. Fexco is proud to support and promote a diverse and inclusive workplace.